Uglyworld #499 - Cinko & The Cannon, originally uploaded by www.bazpics.com. 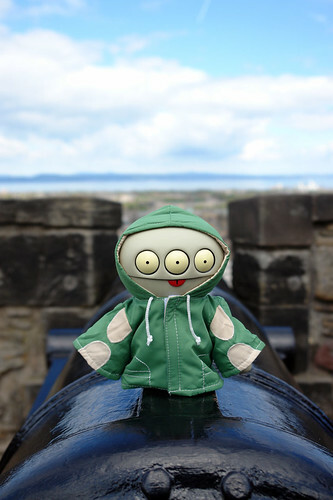 As soon as we arrived at Edinburgh Castle this morning Cinko (who dressed in such a way that it looked like he was willing it to rain) was climbing up onto one of the cannons and shouting "Take a pic, take a pic..." over and over again. Of course we took a pic of him, he wouldn't have jumped back down again otherwise!